Fort Lauderdale, FL – For the second time in as many weeks, the price of gas surged upward across the nation, rising in every region. The U.S. Energy Information Administration reports the price of gas went up more than four cents, on average, to hit $2.24 per gallon of regular unleaded. 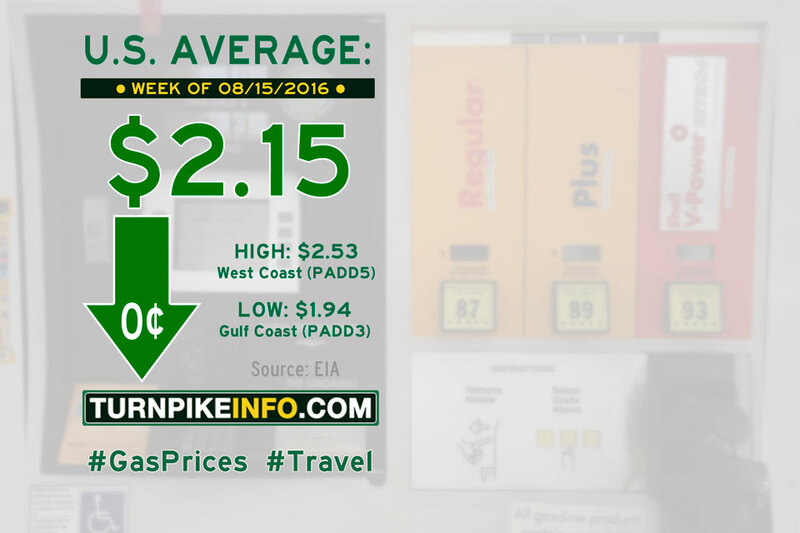 The only region where average prices were below the $2.00 threshold, the Gulf Coast, pushed through the two-dollar boundary to settle at $2.01 this week. The Gulf Coast region remains the survey district with the lowest average gas price. The cost of diesel shot upward another four cents per gallon this week, marking a solid ten-cent increase in just two weeks. The average price of diesel is now at $2.41 per gallon, according to the E.I.A. Fort Lauderdale, FL – For the first time in over nine weeks, the price of gas surge upward across the nation, rising in every region, and following the general trend of upward pricing pressure seen in crude oil. The U.S. Energy Information Administration reports the price of gas went up four cents, on average, to settle at $2.19 per gallon of regular unleaded. Prices went up the most across the East Coast and New England, and across to the Midwest. Meanwhile, the cost of diesel shot upward a stunning six cents per gallon, with prices across the Lower Atlantic, Gulf Coast and Midwest moving even higher. The average price of diesel is now at $2.37 per gallon, according to the E.I.A. Fort Lauderdale, FL – The most expensive regional gas prices got a little cheaper, while the cheapest regional gas prices got a little more expensive during the past week, according to the U.S. Energy Information Administration. Meanwhile, the national average price for a gallon of regular unleaded remained – wait for it – the same. The weekly E.I.A. 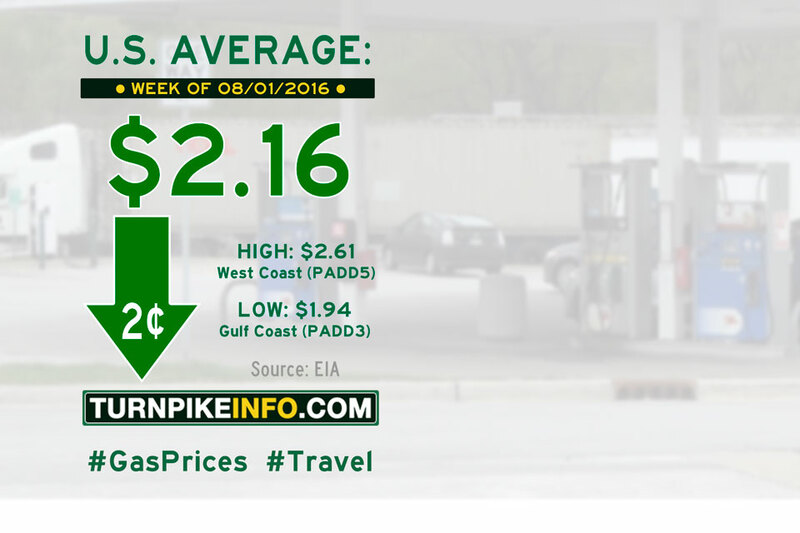 gas price survey shows the national average price for gas remains $2.15. Meanwhile, the cost of diesel got slightly cheaper across the nation, dipping about a penny per gallon, according to the E.I.A. Fort Lauderdale, FL – The price of gas fell during the past week, according to the latest report from the U.S. Energy Information Administration. The price of gas dropped nearly a penny, by the numbers of the weekly pricing survey, although most drivers across the midwest were stung with a sudden price jump that pushed the region’s average cost up four cents per gallon. 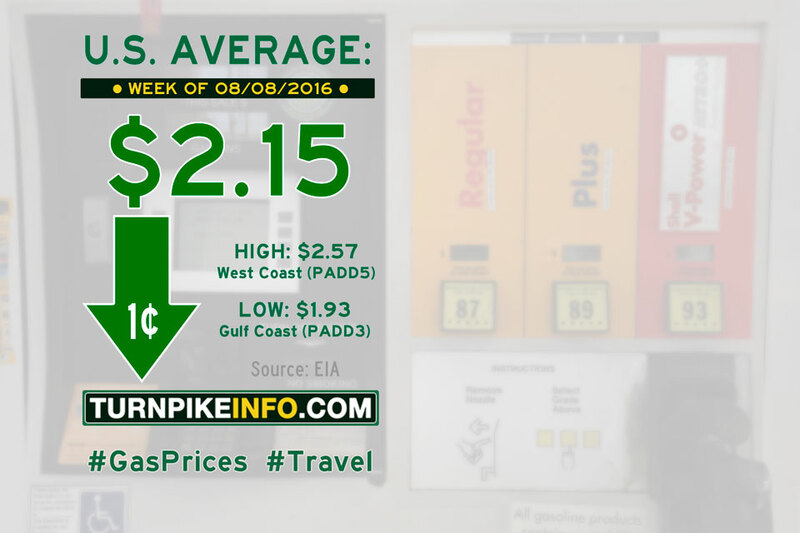 For the rest of the nation, the average price of gas dipped as the national average settled at $2.15. Diesel prices fell just over a three cents, on average, for a consecutive week. The average price of diesel is about $2.32 per gallon, with prices falling in all regions, according to the E.I.A. The lowest prices were found along the lower Atlantic and the gulf coast. 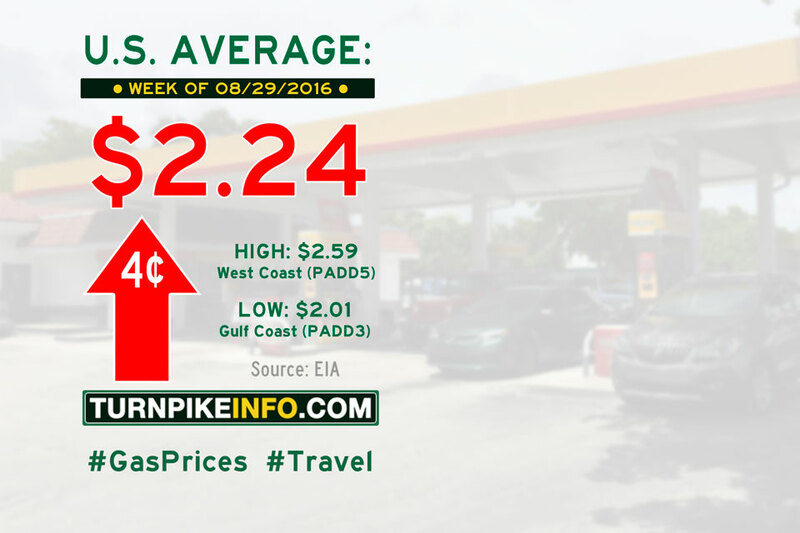 Fort Lauderdale, FL – The price of gas fell another two cents during the past week, as detailed in the weekly gas price survey from the U.S. Energy Information Administration. Data in the report show the price of gas fell in all regions, with New England and the west coast enjoying the largest price declines, on average, of all the regions. 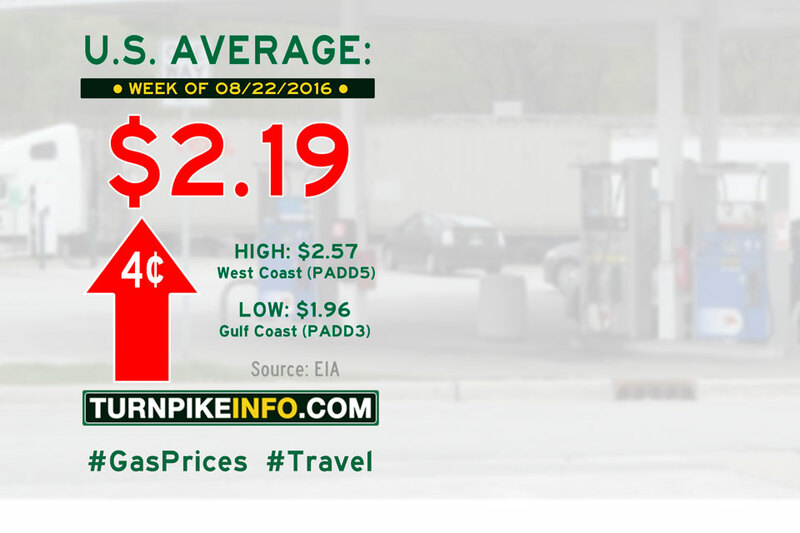 The national average price of gas dropped 2.3¢ per gallon to settle at $2.16, according to the E.I.A. report. Diesel prices fell just over a three cents, on average. The average price of diesel is about $2.35 per gallon, with the lowest prices found along the lower Atlantic and the gulf coast.